Tiemoue Bakayoko - A square peg in a round hole at Chelsea for Maurizio Sarri. If reports are to be believed, Chelsea are looking to send Tiemoue Bakayoko out on loan before the European transfer window closes at the end of the month with a move to AC Milan being the most favourable. I personally have had high hopes for Tiemoue Bakayoko when he signed for Chelsea after watching his impressive displays for Monaco. Unfortunately, for whatever reason, it has never seemed to work for him last season and appears to be even worse this time around under Maurizio Sarri. Chelsea paid £40m for the Frenchman last summer and it was a big, big move for everyone concerned. Bakayoko had found his position, his confidence and was a real influence in games over in France, if anything we expected it to be exactly the same at Chelsea. Now I am unable to answer if it was Antonio Conte's tactics or the manager himself that had a detrimental effect on him but apart from small glimpses of what he could do, he played nowhere near the levels of expectation. I personally think that he was more suited to the three-man midfield that Conte adopted last season in certain games with Atletico Madrid being one of those games I am referring to. With N'Golo Kante playing in the pivot role, Bakayoko and Cesc Fabregas played either side of him and given licence to express themselves with the ball, but also to work hard without it. Chelsea dominated the game, caused Diego Simeone's side the most problems they had ever faced and we won the game 1-2. That was pretty much as good as it got for Bakayoko and just think about it, that game was played on 27th September 2017. I understand that there is an opinion that it takes foreign players a season or so to come to our country and settle down. You have to adjust to life here on and off the pitch and for some it's a real transitional change. Forgetting last season and he below par overall performance, we now wipe the slate clean to see where he could possibly fit in under Sarri. It's already clear that it's not going to work. Everyone has taken time to have a look at how Sarri likes his sides to play. Quick interchange of passing from back to front and players that are mobile. Bakayoko because of his frame looks quite laboured when he moves around the pitch and doesn't seem to be able to move the ball as quickly as Sarri would want him to. The emergence this pre-season of Ross Barkley in my opinion has pretty much nailed Bakayoko's future here as over with a loan move expected to be completed before the end of the foreign clubs transfer window at the end of the month. 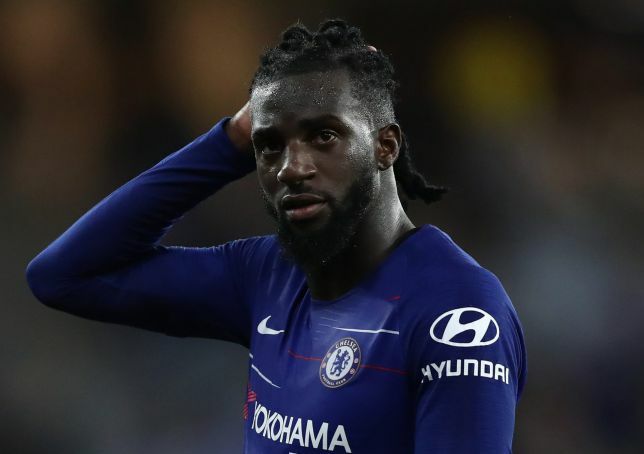 As much as I would like to say that my opinion right now of Tiemoue Bakayoko is incorrect and that he will grow into the role playing in a three-man midfield again, I simply cannot see it happening. He is the one obvious square peg in a round hole for Maurizio Sarri.